For well over 200 years, the most popular solution to tooth replacement has been dentures. Unfortunately, dentures cannot stop bone loss, diminish chewing function, and furthermore, they even add to the appearance of aging. Wearers of lower dentures often retain only 10% of their chewing capacity. Thanks to modern technology, our Los Angeles dental implants center can introduce you to a new treatment plan involving multiple teeth dental implants. Our Los Angeles multiple teeth dental implants expert can explain to you how multiple teeth dental implants technology can provide a permanent, screw-retained, same-day replacement. In addition to appearing and functioning like natural teeth, implant supported multiple teeth bridges replace teeth without needing support for adjacent natural teeth. Traditional fixed bridges that replaced the loss of multiple teeth depended on the support from adjacent teeth. Implants operate like the natural root of a tooth and are permanently attached to the jaw bone. 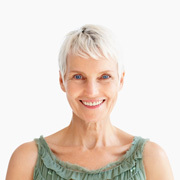 Multiple teeth implants have the look and feel of natural teeth, allowing you to bite with up to 70% more force, can facilitate bone and muscle growth, and restore facial features. With proper care and cleaning instructions, our expert in multiple teeth dental implants in Los Angeles can help a patient ensure their implants last a lifetime. A multiple teeth dental implant procedure provided by our Los Angeles multiple teeth dental implants expert is significantly less invasive and traumatic than conventional bridge replacement. Patients often report their comfort level during multiple implants procedures as being considerably higher than that of simple tooth extraction. Recovery is usually speedy, allowing the majority of patients to get back to their normal activities the next day, though every recovery experience varies of course. In most cases your new teeth will be able to function immediately. Our expert in multiple teeth dental implants in Los Angeles can advise patients on the many advantages of implants. Over the long term, implants are as aesthetic, functional and comfortable as natural teeth. Unlike with a fixed bridge or removable partial denture, gums and bone will not recede or lead to a collapsed, unattractive smile. Cement holding bridges in place can wash out over time allowing bacteria to decay teeth that anchor the bridge. Moreover, removable partial dentures can move around in the mouth providing discomfort and reducing your ability to eat certain foods. You will have none of these worries with multiple dental implants. To learn more about dental implants or to schedule a consultation, contact our office today.